On December 10th, the largest debate in the history of the Connecticut Debate Association was held at the Academy of Information Technology and Engineering (AITE) in Stamford. The controversial resolve was, “Should the US join the International Criminal Court?” With 8 of Warde’s own teams debating, the day was filled with tough and extremely contentious debates. Warde brought many new novice and varsity teams, along with a few veteran teams. 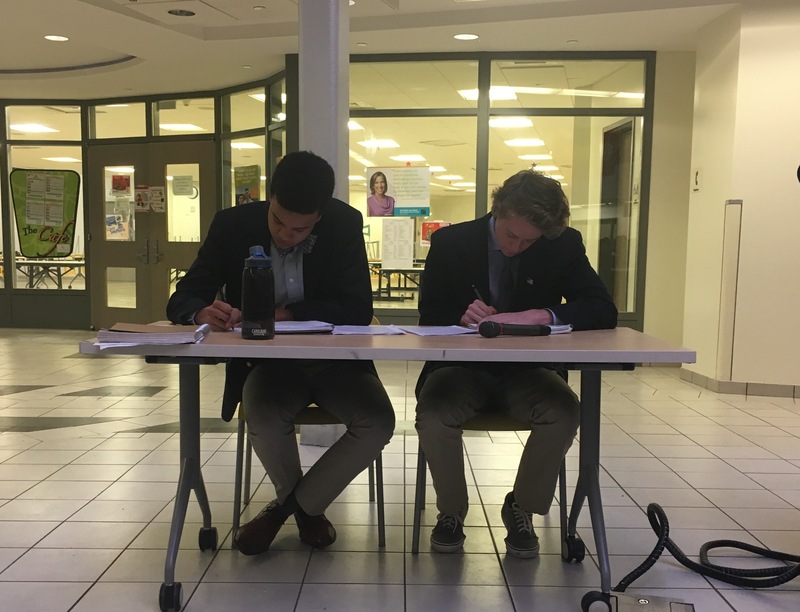 Both sides of this debate were able to strongly hold their ground with arguments revolving around morals, racism, war crimes, foreign affairs, economics, and much more. At the end of the day, after 3 rounds of debate, all the debaters were tired and ready to go home. 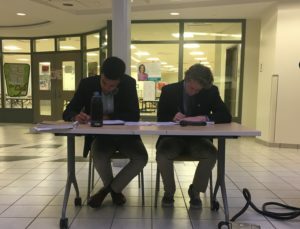 All were surprised when they heard the announcer say, “Will Warde’s Lee and Luther please come up for the final debate?” Max Lee and Cameron Luther are in their fourth and third years (respectively) on the debate team and have put in a grueling number of hours on and for this team. The duo put up a strong fight against the Westhill team of Hicks and Sunderaraman. 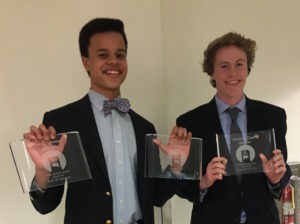 Fortunately, their arguments trumped their opponents, and Max and Cam went home with the 1st place varsity plaque, continuing their undefeated record of 10-0. Max Lee and Cameron Luther pose with their trophies. The AITE debate was absolutely stellar for Warde. Other achievements include: Cameron Luther, 1st individual varsity speaker, Akshitha Maddula and Zoe Gupta, 1st novice teams, Zoe Gupta, 1st individual novice speaker, and Emma Bella Bass-Lawrence, first time-debater, who took 2nd place individual speaker. Debate Coach Mr. McGarry called this debate “Warde’s best showing of all time” as the team swept every category. They are all hoping to continue this winning streak at the January 7 tournament, which will be at Warde! Congratulations Max! That is a wonderful achievement. Glad I was not judging it!